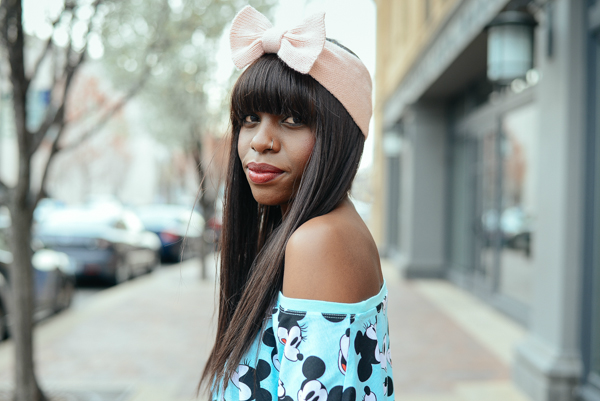 Priscilla Kioko Couture: Hey Mickey! Happy Tuesday friends! 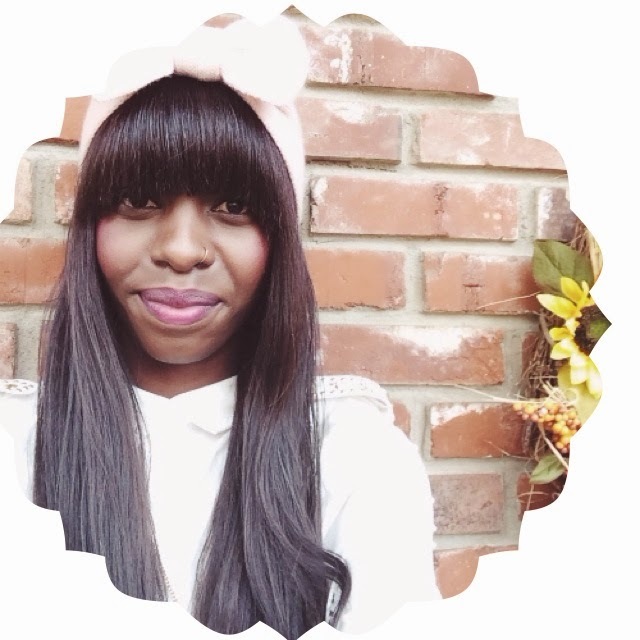 I hope this post finds you well!! I am convinced that every girl needs a comfy oversized tee in their closet!!! I found the perfect one for myself this past weekend!! 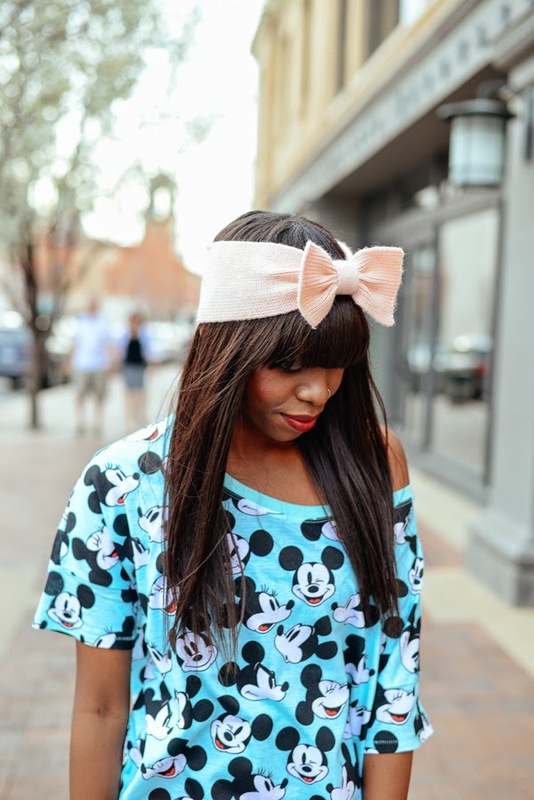 I absolutely love my new Mickey & Minnie Tee from H&M. 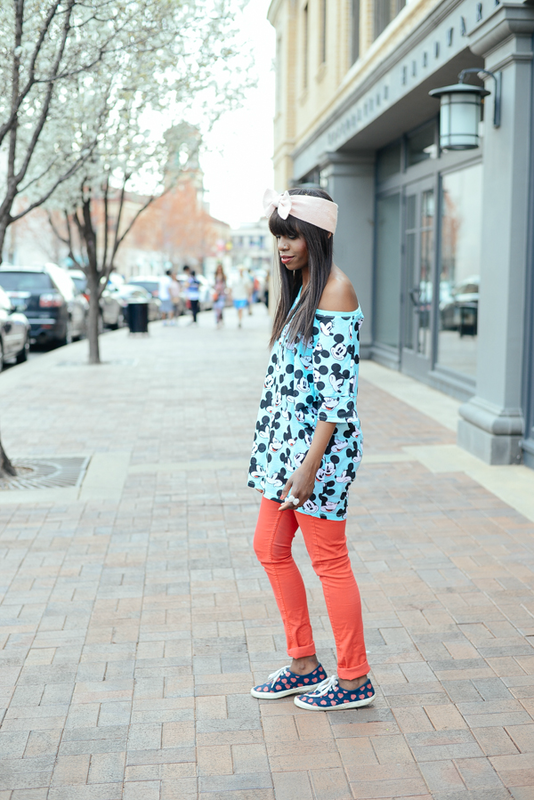 My fave detail about this tee is the wide neckline because it allows me to wear it off the shoulder! 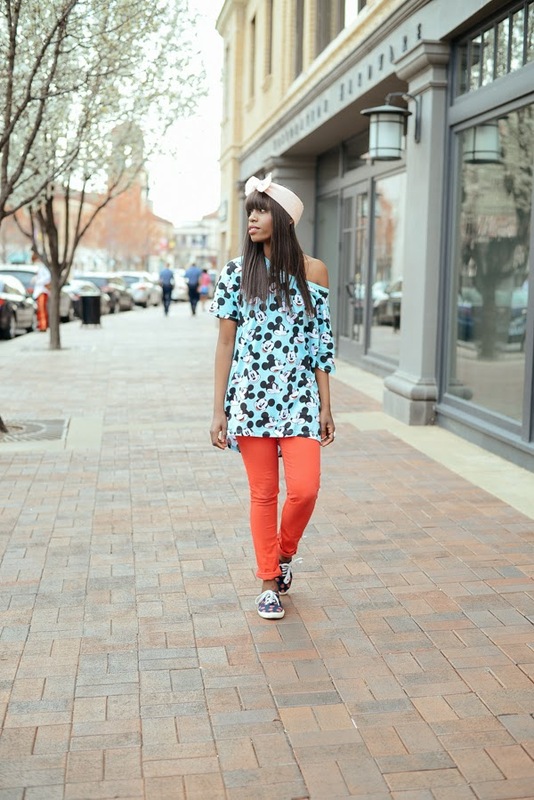 I have paired my tee with red skinny jeans and my heart print sneakers from Forever 21. 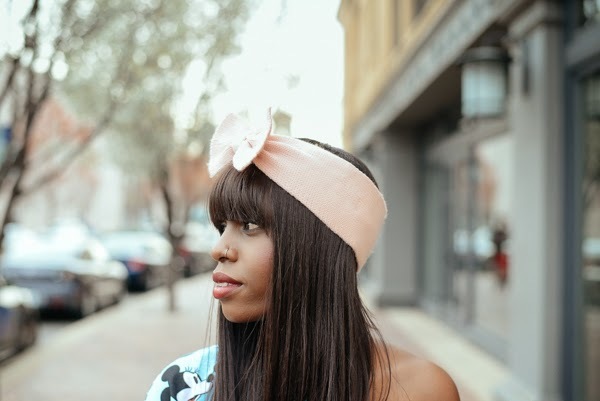 To add some playfulness to this look, I chose to wear my Forever 21 knit bow headwrap.